Guacemelee! is back and aims to be better (and wackier) than ever. 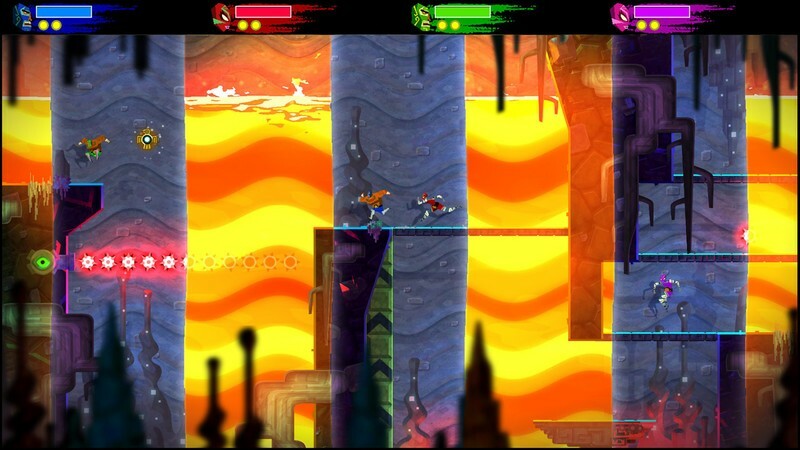 Developed by DrinkBox Studios, Guacamelee! is a sidescrolling Metroidvania platformer with a lot of heart and personality inspired by Mexican culture. It effortlessly combines narrative and gameplay in the best ways possible, making it a prime candidate for a sequel. Enter: Guacamelee! 2. If you think about it a certain way, Guacamelee! can be seen as a superhero origin story of sorts. Juan Aguacate, an ordinary farmer living in an ordinary Mexican village, finds himself killed and thrust into the underworld after a run-in with the evil skeleton Carlos Calaca. During his time in the land of the dead, a masked luchador named Tostada gives Juan his own mask, transforming him into a powerful luchador himself. With his newfound abilities, he rushes to save his beloved from Calaca, who kidnapped her with the intent to use her as a sacrifice to unite the worlds of the living and dead. All the while Juan is trying to find a way to return to his normal life. No pressure. Guacamelee! features two endings depending on certain actions you took while playing. It’s your typical Disney-esque fairy tale ending or a bittersweet conclusion to your journey. Either your beloved is revived through the powers of your mask, or you arrive too late to save her. Like any good superhero, Juan eventually hangs up his cape– er, mask, and settles down in a humble life with his wife and children. But a hero’s work is never done. Forced out of retirement after seven years, Juan takes on his greatest challenge yet to save the universe, affectionately called the Mexiverse, once more. Guacamelee! 2 looks like it will take both endings into account as it appears that it will contain alternate timelines. As seen in one gameplay video, Juan travels to what is referred to as the Darkest Timeline where he ended up defeated in the first game, only for another hero to swoop in and save the day. But as the saying goes: you either die a hero or live long enough to see yourself become the villain. And that’s exactly what happens with the ‘hero’ that stole Juan’s thunder. Guacamelee!’s gameplay is where it truly shines, and DrinkBox is looking to double down on what made it so great with its sequel. Tight, responsive controls and fluid combat make for an excellent experience. Like its predecessor, Guacamelee! 2 weaves together your wrestling skills with its platforming sections, which can get downright diabolical. Need to take down an enemy or blast through a wall to progress? Use your Rooster Uppercut to get the job done. When used in conjunction with others moves, like your Dashing Derpderp ability, you can easily traverse otherwise impassable jumps and deliver epic 1-2 punches to knock out your opponents. Some of its wackier abilities even let you transform into a chicken (Pollo) or a goat to get to hard to reach places. Because why not. 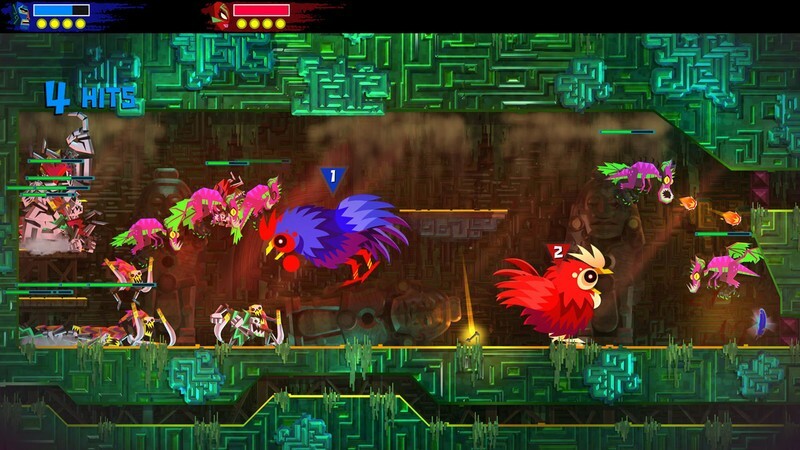 While transforming into a chicken in the first game was mainly used as a means of traversal to squeeze through tight areas, it’s getting a bit of an upgrade in Guacamelee! 2. 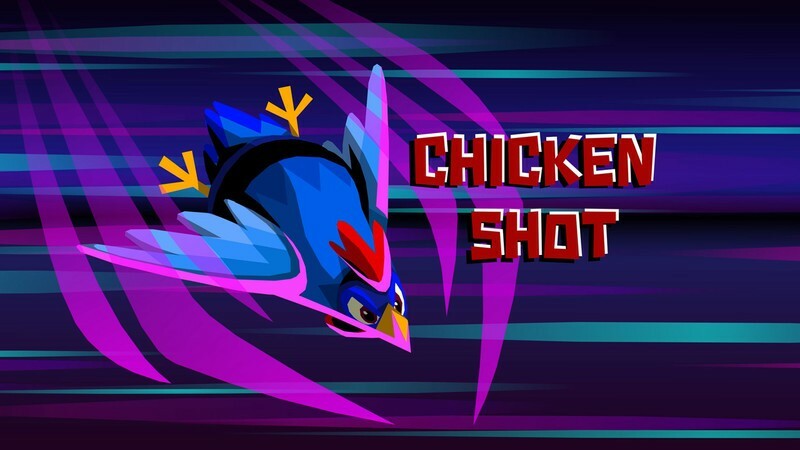 Now players will be able to fight enemies as a chicken and break barriers using Pollo Shot or Pollo Glide, among other abilities. DrinkBox has expanded the chicken gameplay sections so much that they jokingly refer to it as a “Pollovania” inside of the main game’s Metroidvania. In the first game, Juan had the ability to switch between both the living and dead realms at will, allowing him to continue his journey. For instance, one area in the living realm may have had less platforms than the dead, and vice versa. And if a spiked wall was blocking your path in the land of the dead, that wall may disappear when switching back to the land of the living. This mechanic is being fleshed out more in Guacamalee! 2. There will now be ripples that move across the screen independently from your control, almost as if the fabric of time and space is tearing apart. Within one of these moving ripples could either be the land of the living or dead, so you’ll need to move with them appropriately in order to complete certain sections. Guacamelee! 2 introduces a new training aspect to allow players to grow accustomed to their skills, with the eventual goal of mastering them. By visiting various NPCs across your journey, you’ll meet different trainers with their own area of combat expertise. If you’re having trouble hitting those combos, it would be a good idea to get some practice in before taking on a greater challenge. 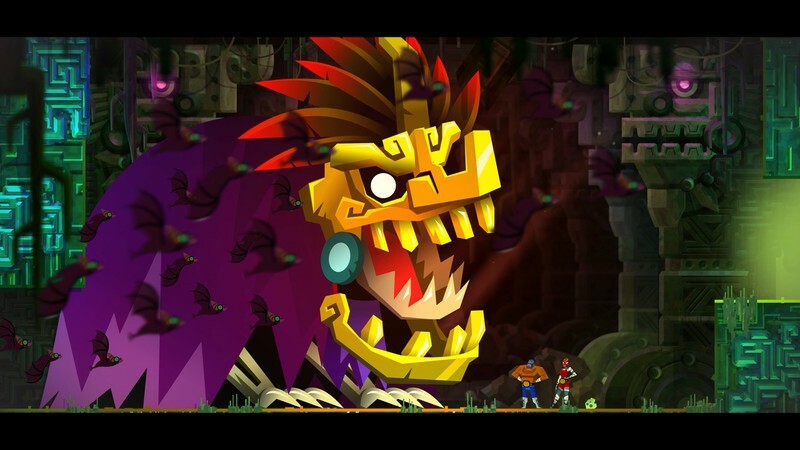 This training will certainly come in handy once you get a taste of the bosses in Guacamelee! 2. The first game saw you facing off against Calaca’s toughest minions, and its successor looks to continue the rage-inducing fights. One such boss in Guacamelee! 2, El Muñeco, can be seen in this gameplay video. 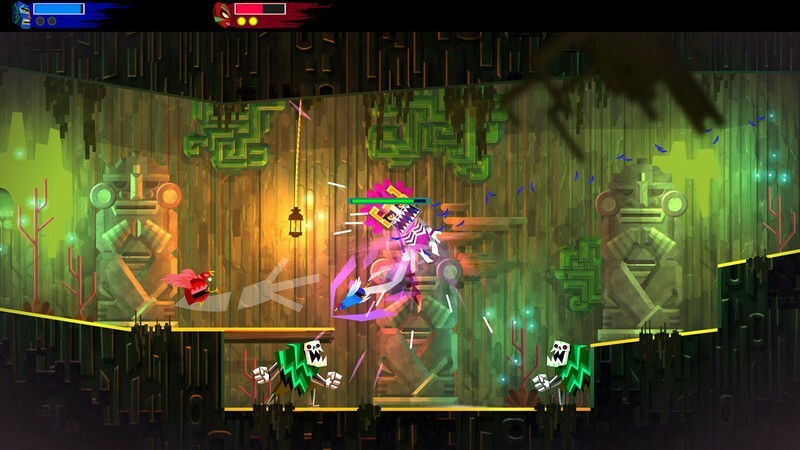 And of course taking down hordes of enemies is always more fun with friends, so Guacamelee! 2 supports 4-player co-op. 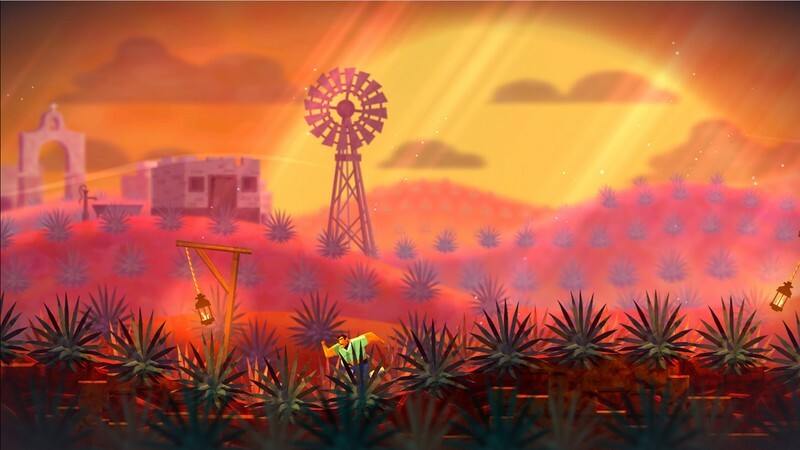 When creating its art style and music, the developer wanted the game to wear its Mexican influences on its sleeve. Everything looks colorful and vibrant, reflecting the society it emulates. Its influences are apparent in its iconography and even more so in the characters that you meet and sounds you hear, described as having an “absolutely fuego electro-Mexican soundtrack” and gorgeous visuals thanks to its new engine. If you’re so inclined to really dig deep into Guacamelee!’s visuals and the process of creating them, the developer has a 1-hour Game Developers Conference panel talking about that very subject. Where and when can you play it? Despite only being confirmed for Sony’s console, this doesn’t rule out a release on other platforms in the future. The first game launched on PS3 and PS Vita when it came out in 2013, but was eventually ported to Xbox One at a later date. 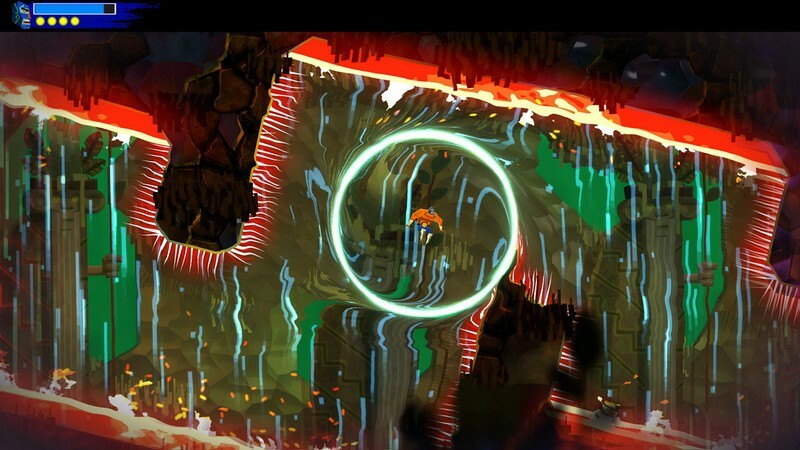 DrinkBox Studios has indicated in the past that Guacamelee! 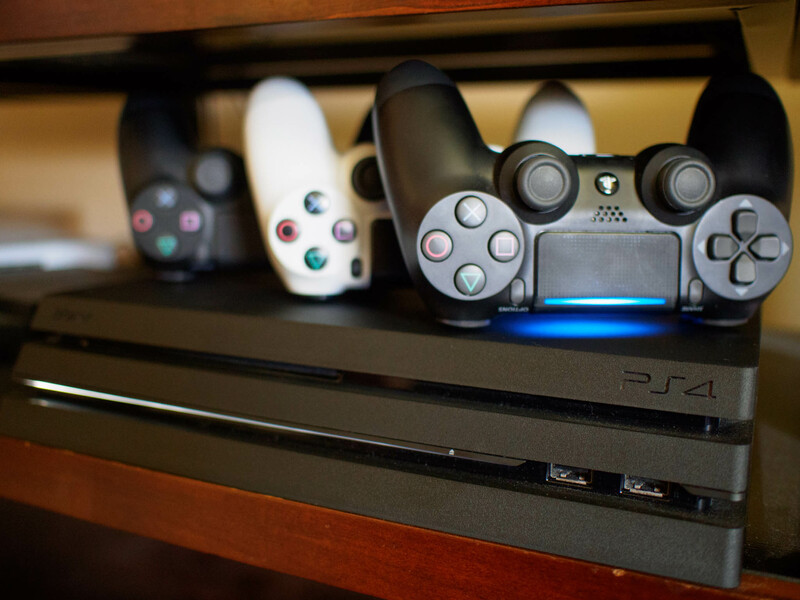 2 is a timed-exclusive, though the studio is first and foremost focused on its PS4 and PC release. Guacamelee! 2 is set to release on August 21, 2018 for PlayStation 4 and PC, and will be priced at $19.99.